Read what real customers have to say! After the preparatory work was done on the deck, Pacific’s crew arrived at 9:00 am and we had cocktails in our new sunroom at 5:00pm. We were delighted with the quality of work and the service received. 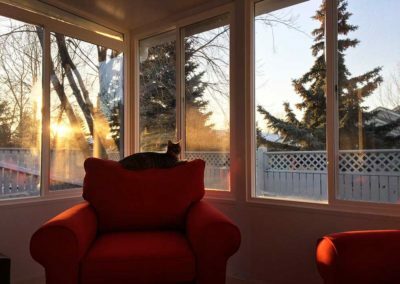 Our insulated sunroom is the choice location most days, even on sunny warmer days in the winter. This was, without question, the best addition to our home, thanks to Doug and his excellent team. Over the past twenty-two years that we’ve been in our home, Doug, Norm and group have done many renovations for us, some small, some large, but always done well. Congratulations on twenty five years in business. We hope you have many more years of continuous growth in what is a great business. Best Wishes! 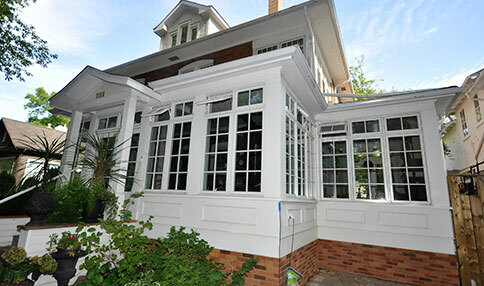 More than 15 years ago, Doug and the Pacific Home Products team rescued the back wall of our aging character home, which was threatening to pull itself off. They also did a beautiful job of renovating our master bedroom. Since then, PHP has done renovations on our subsequent homes, mainly replacing windows and doors. You only do business with a company for 15-plus years if it is competent, professional, on time and on budget. In addition, the people at PHP are wonderful to deal with; they are without doubt our favourite contractors. 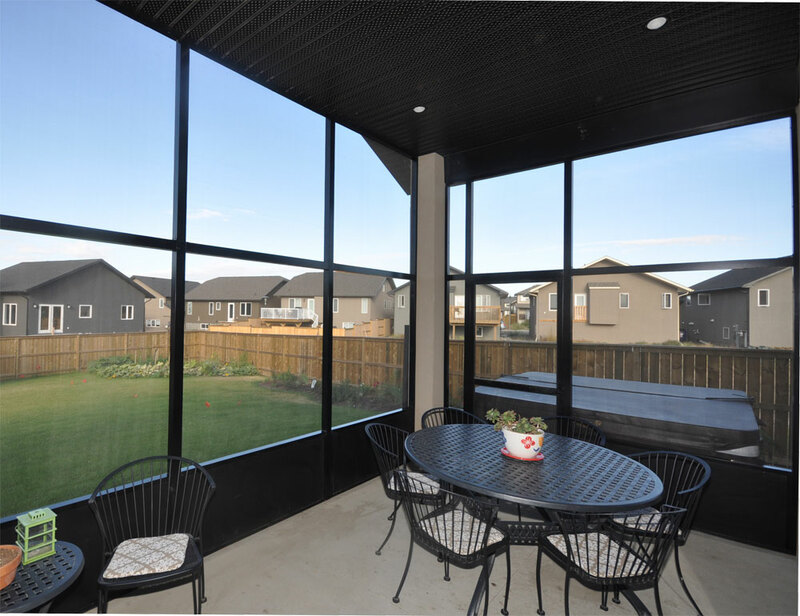 The WOW factor of our chalet style sunroom is incredible. Since building our sunroom, we spend most of our time in this part of our home. We love it so much, we are adding one to our cabin this summer. Pacific Home Products were a great company to work with, and had great ideas for us when planning our addition. We just had a fairly minor renovation done. We left on a Monday morning for a two-week holiday and the whole job was done on the Friday before we got home. Plus, we had a water problem the night before we left, which was also looked after. We have nothing but good things to say about Doug and his team. The follow-through, both times we’ve used Doug and his team, has been good. And he connects with other good tradespeople. When he recommends, for example, a painter, we’re always very happy. We’re just very pleased Doug fit us in, and made everything work for us in the least possible intrusive way. He just did a fabulous job. We have worked with Pacific Homes on a number of our home renovations over the past several years. Without exception we have found them to be courteous, attentive to detail and willing to do whatever it takes to get the job done to our satisfaction. From beginning to end we found the Pacific Homes Team honest in their estimates to do the job both from a time and budget standpoint. We trusted them to look out for our best interests if there was a way to cut costs without sacrificing quality. We intend to work with them in the future and will continue to recommend them to family and friends. The pictures turned out well but they truly don’t do the room justice, it is incredible. I have done a lot of entertaining and not one person that has visited has had anything other than wonderful things to say about it. Whether during a snowstorm, wind, or rain, it is very cosy and secure. 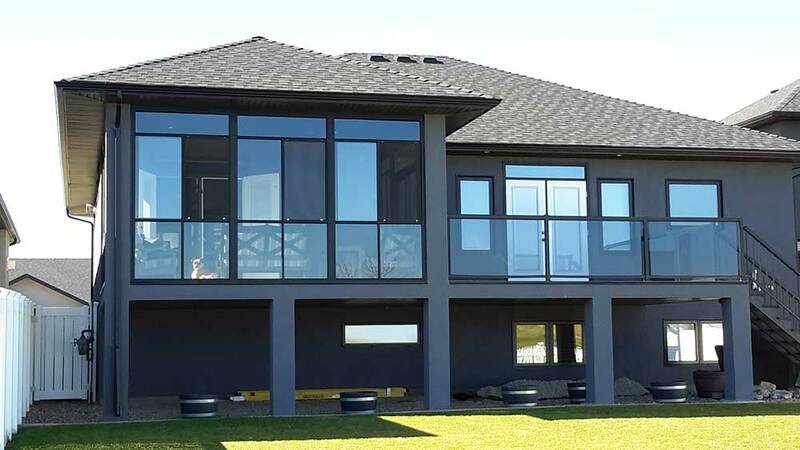 We had new windows supplied and installed by Pacific Home Products and have had numerous compliments from family and friends. The quality of the product and service is superb. We are extremely happy with the finished windows that have given us both increased insulation and reduced noise. 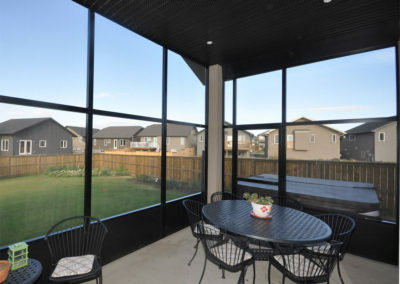 The product is exceptionally well built and the installation was very quick and clean. 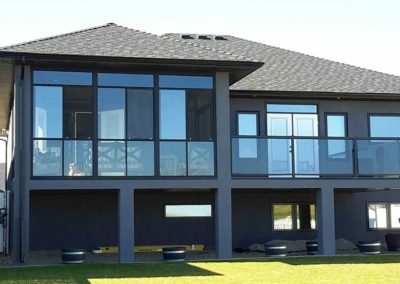 We have recommended Pacific Home Products to several people for any type of glass installation in their homes. Very pleased and happy indeed. Doug and his team managed a major exterior renovation on my home, including installing siding and contracting out the stonework. They were always here when they said they would be. It was a very busy construction year, so I was even more impressed by their attention to my reno. Our neighbour across the alley also hired Pacific Home Products, and was very happy with their work. I would recommend them to anyone, without hesitation. 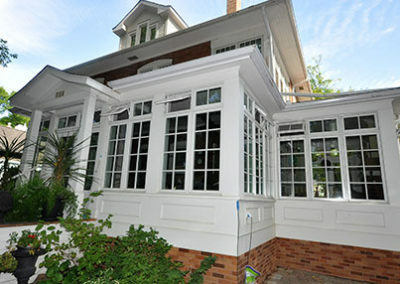 We first contracted Paciific Home Products over 15 years ago to do some renovation and window work for us. We were very pleased with the work, attention to detail, and the lines of communication between us, Doug, Norm and the rest of their staff. Over the years they have completed numerous projects for us and have always maintained the high standards we enjoyed the first time around. 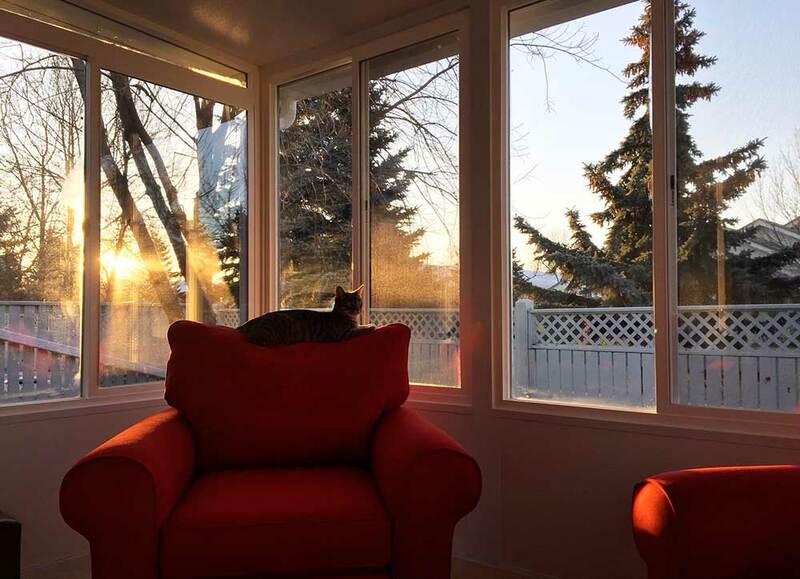 A recent addition to our home featuring Pella windows has created a unique and beautiful space for us to enjoy and we couldn’t be more pleased. Pacific Home Products has been our choice for many projects in our home and cottage. Over the last two decades they have changed windows, doors,and decking for us. They handled our kitchen and bathroom renovations, plus built us a sunroom. When our cottage was damages by hail, they restored windows, doors, and the roof. They are very professional, friendly, polite, and extremely helpful. Plus, they always clean up after themselves! We have developed a real trust and friendship with them and we highly recommend them to others.